This delectable little number came from Smitten Kitchen who in turn got it from Julia Child’s Mastering the Art of French Cooking. If you are curious about dabbling a bit in the art that is Julia Child, I came across a website dedicated to her recipes here. I know I will definitely be poking around on there in the future and for now, it will have to suffice until I remember to pickup her cook book the next time I am around a book shop. Honestly, this recipe only took me about 20 minutes from start to finish. Easiest way, hands down, to please any seafood eater. Not only does it have the complexities of a dish from a fine establishment, but it also looks fancy as f**. Just saying. 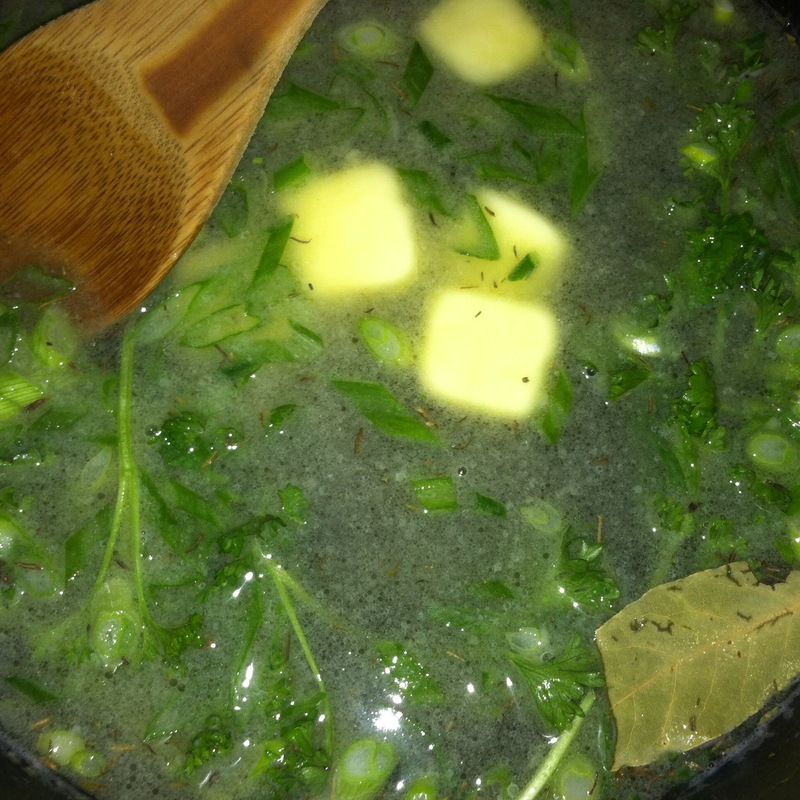 So with all of that being said, click on the links above for Smitten Kitchen’s recipe and other magical creations from Julia Child when you get a moment. You wont be sorry! 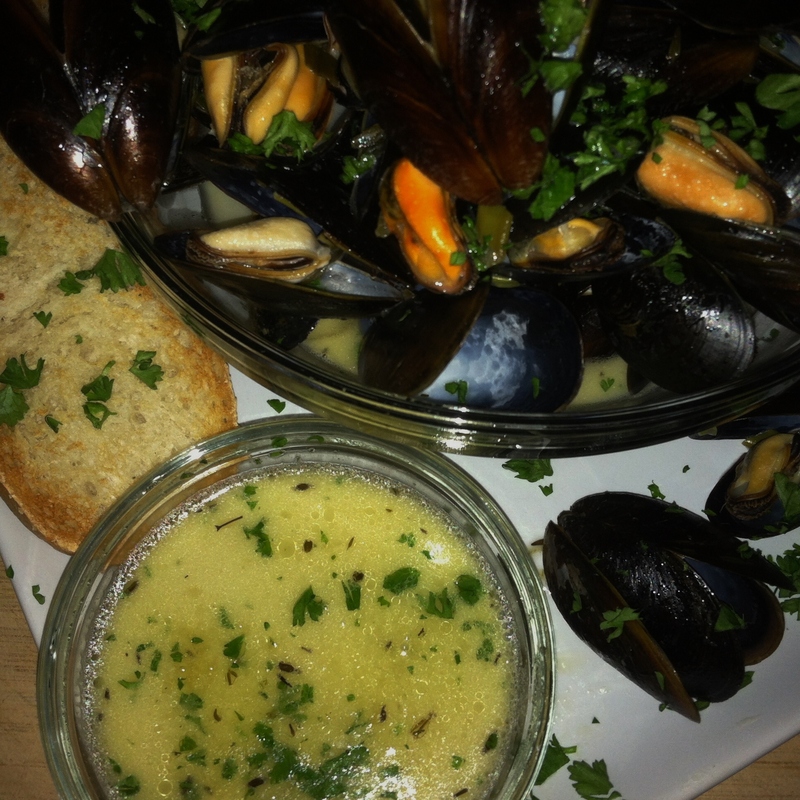 Combine all the ingredients except for the mussels and chopped parsley in a large pot. 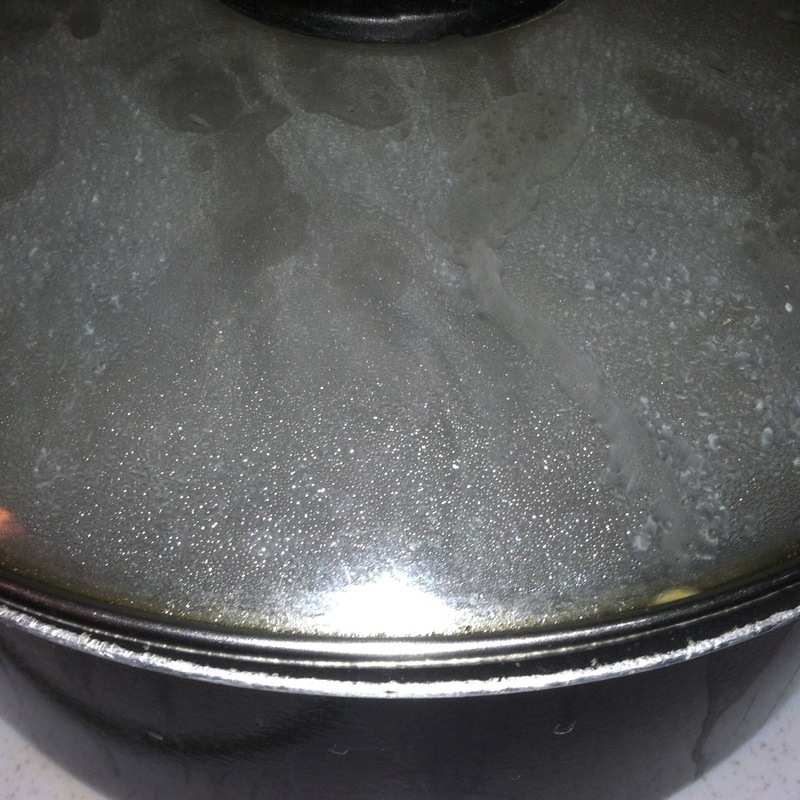 Bring to a boil over high heat and allow to boil for 2-3 minutes so that all the alcohol evaporates and it reduces slightly. 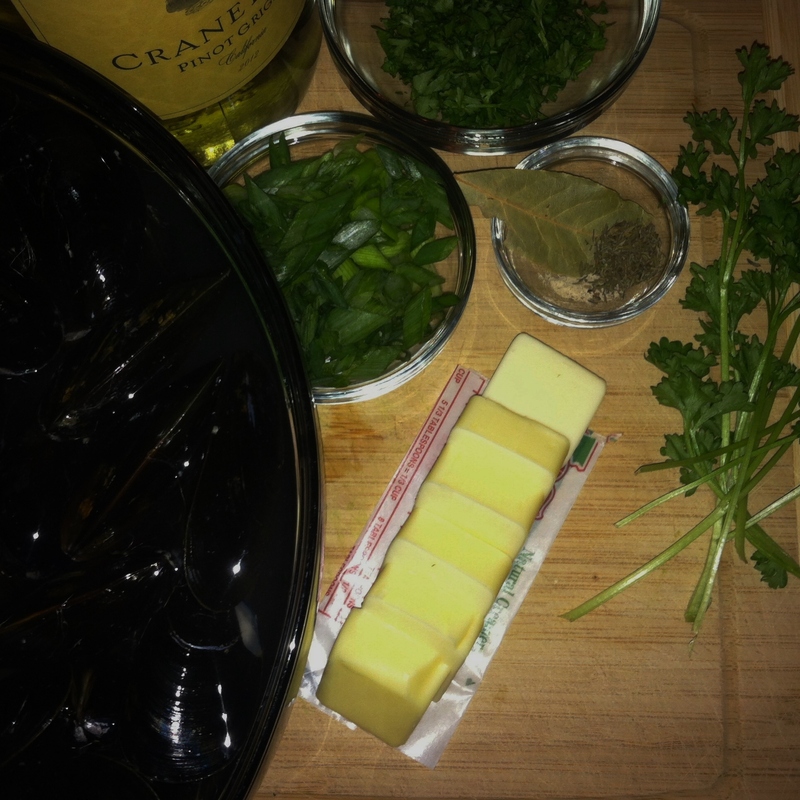 Add your mussels to the pot and cover tightly. 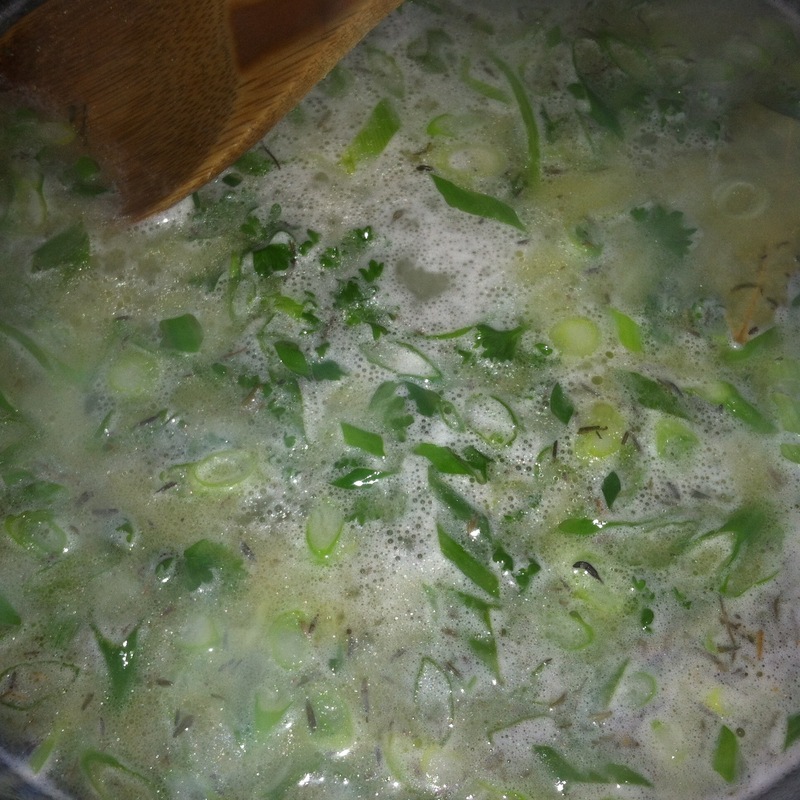 Continue to boil, shaking the pot from time to time to ensure even cooking, for about 5 minutes. 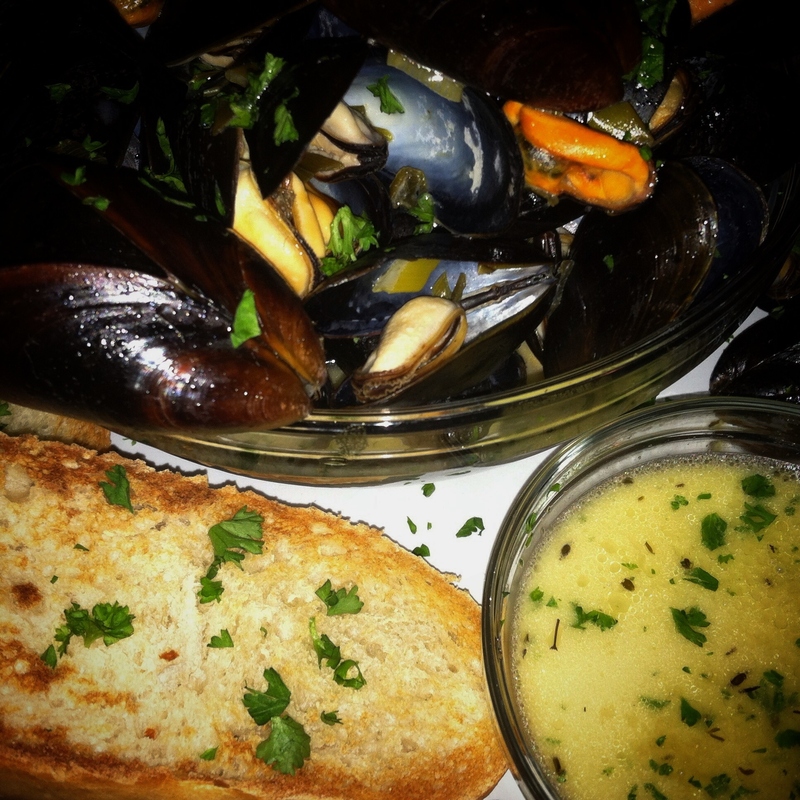 You will know the mussels are cooked thoroughly once they all open. 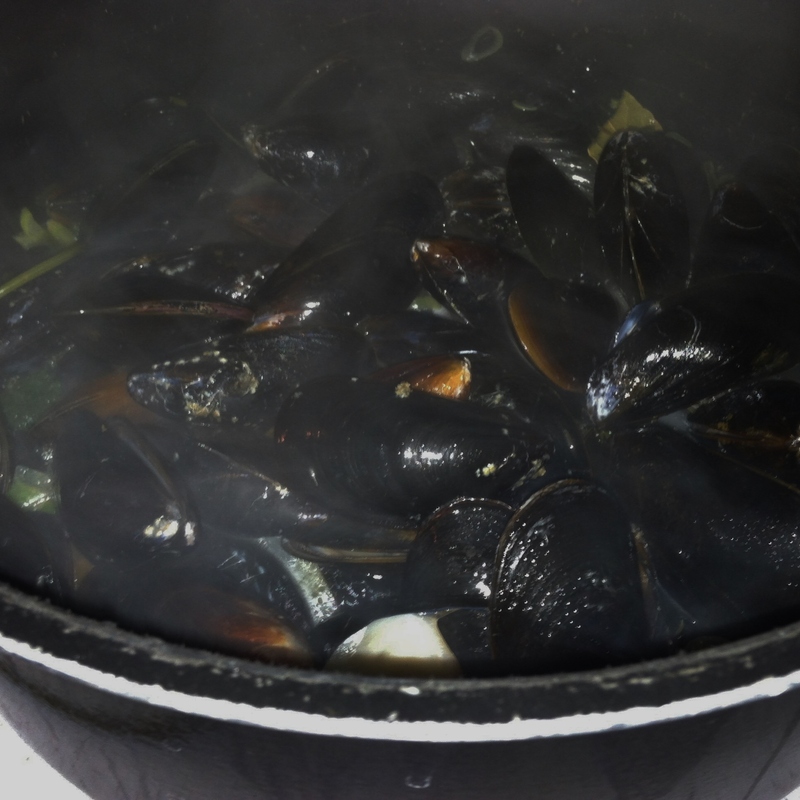 Using a slotted spoon, transfer the mussels to a large bowl and allow the broth to rest a bit so that any remaining sand falls to the bottom of the pot. Ladle the broth over the mussels and some into a separate bowl to dip some crusty bread in, and finally dust your chopped parsley.